Mingalarpar! Welcome to the country of the myths Myanmar or Burma. 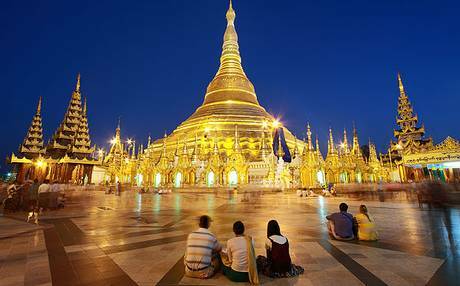 Emerging as newly, extremely attractive place for tourists in Asia, Myanmar is truly giving a shake into Indochina travel market. With over years in the field, can not be out of the stage, we proudly introduce to our wonderful passengers a place to easily book and tailor-made amazing tours to Myanmar. At MyanmarTour.com, our experienced and professional team are always ready and eager to offer you Myanmar tours packages. 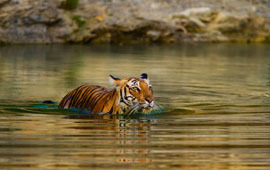 Customize Myanmar Tours section is totally FREE and always will be. We eagerly look forward to seeing you in your very individual Myanmar packages in an earliest day with us. Start planning your Myanmar tours right here with us today where offers you Best places to see at Best rates to go. Come and discover the hidden land of Burma and its extraordinary people. You’ll be one of very few outsiders who have. Burma remains an isolated, secret surprise, a magic mystery to all but the lucky few. Experience this incredibly diverse destination from a bygone age. Burma is a beautiful country where, regardless of the troubling political situation, locals welcome visitors with humbling warmth and generosity. There is a limited choice of good connecting flights from the UK. Thai Airways (0844 561 0911; thaiairways.co.uk) has the best flight timings: departing Heathrow at 12.30pm, arriving in Yangon at 8.50am; journey time 15 hours. The cheapest return is currently under £700 but can rise to over £1,000 for winter departures. There are similar fares using Singapore Air (020 8961 6993; singaporeair.com), a 20-hour journey via Singapore, and Malaysia Airlines (0871 4239 090; malaysiaairlines.com), an 18-hour journey via Kuala Lumpur. Qatar Airways (0333 320 2454; qatarairways.com) flies daily from Heathrow to Yangon via Doha with returns from around £600, though connecting times can be long on cheaper fares. Transfer time by road between Mandalay or Yangon airports and the city centres can be anything from 30-90 minutes, depending on traffic. Tourists can now use three land crossings from Thailand to Burma. The most northerly is Mae Sai to Tachileik, linking Chiang Rai to Kengtung, though you must fly on to reach Yangon or Heho for Inle Lake. Six hours south-west of Chiang Mai, the Mae Sot-Hpa An crossing is apparently being used by buses but I have not been able to verify this yet. From Hpa An it is a day's journey to Yangon by road. About five hours south-west of Bangkok and 50 miles west of Kanchanburi, the Htee Khee to Phu Nam Ron crossing accesses the Myiek peninsula though it's another five hours on poor roads to the port of Dawei and a very slow road on north to Mawlamyine. Selective Asia (01273 670001; selectiveasia,com) can arrange car-and-driver tours from Bangkok to Yangon using this route). There is also a sea crossing from Ranong to Kawthaung used by yacht charter companies such as Burma Boating (burmaboating.com) to tour the Myiek archipelago.